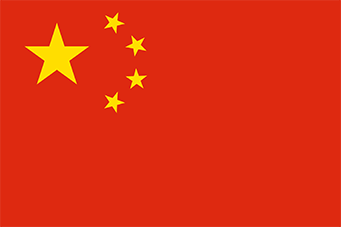 As of November 11, 2014, the Visa Office of the Chinese Embassy will begin accepting 10-year multiple entries visa application for tourist(L)/ business(M)/ short-term vsit to the relatives (Q2)/ private matters(S2) purposes and 5-year multiple entries visa application for study(1) purpose. The requirements are the same as before, the passport submitted should be valid for at least 1 year to obtain Maximum Validity. The following is a list of the Nationalities who must appear in person at their corresponding jurisdictional Consulate . YOU MUST GO TO THE CHINA CONSULATE FOR A PERSONAL INTERVIEW . IF YOU ARE GOING TO THE CONSULATE FOR A PERSONAL INTERVIEW PLEASE TAKE WITH YOU A CRIMINAL BACKGROUND RECORD, A RECENT BANK STATEMENT AND A LETTER FROM YOUR EMPLOYER OF YOUR CURRENT EMPLOYMENT. THESE ARE REQUIRED IN ADDITION TO ALL THE OTHER REQUIREMENTS LISTED TO OBTAIN A VISA. DO TO THIS REQUIREMENT WE CANNOT SUBMIT YOUR VISA APPLICATION. We can pickup your Visa from the consulate once completed. A valid, signed US passport. All passports need to have at least 12 months validity remaining after the completion of your stay in China, and contain at least one blank visa page. less than 12 months will be rejected. 2 . Fully completed and signed TYPED IN ALL CAPS with N/A’S in every blank field China Visa Application (FOUR PAGES!!!!) TYPED IN BLOCK LETTERS. Hand written forms will not be accepted. You must have NA’s in every single blank area you can tab to!!!!!!!!!!!!!!!! 2-6-2015 NEW FOR Question 1.23 on the Visa Application – Major Family Members You must list YOUR MOTHER OR YOUR FATHER even if they are Deceased. Their occupation will be deceased. If only 1 parent is on your birth certificate, please provide a copy of the birth certificate to show the consulate. 5. If you have traveled to China in the last 2 years, a copy of your last visa and a copy of the entry stamp in your passport is required. –An Invitation Letter for Tourist Group or Invitation for Tourist by a Duly Authorized Tourism Unit. – An Invitation Letter issued by companies, corporations, institutions and individuals in China. If the invitation letter is issued by an individual in China, the photocopy of the ID of the individual is required. A valid, signed US passport. All passports need to have at least 12 months validity remaining after the completion of your stay in China, and contain at least one blank visa page, less than 12 months will be rejected. Business Visa (” F” visa) One of the following documents is required: An Invitation Letter of Duly Authorized Unit or Confirmation Letter of Invitation Issued by an authorized Chinese agency. An invitation letter issued by the Chinese local governments, companies, corporations and institutions other than above –mentioned Chinese agency. The invitation letter shall include the following items (A) Personal information of the invitee: name, gender, date of birth, etc. (B) Information concerning the invitee’s visit to China: purpose of visit, date of arrival and leaving, place to visit, relationship between the invitee and the inviter, and who will bear the cost of the invitee’s accommodations in China (C)Information of the inviter: name of the unit, phone number, address, seal and signature of the legal representative. * Generally, the invitation letter may be submitted as a fax, copy or printout. If necessary, the consular officer will ask the applicant to submit the original invitation letter, or to provide some supporting and supplementary documents, or schedule an interview. The application with any fake invitation letter or other fraud will be rejected. 11. If you have traveled to China in the last 2 years, a copy of your last visa and a copy of the entry stamp in your passport is required. Houston Consulate processing time is 5 business days at the Consulate. Visas can be obtained on the fourth business day.